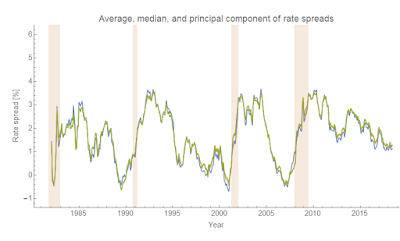 However, the period of time the spread spends inside that error band ranges from a few months to a year (yield curve inversion is usually described as being an indicator a recession will happen within a year). 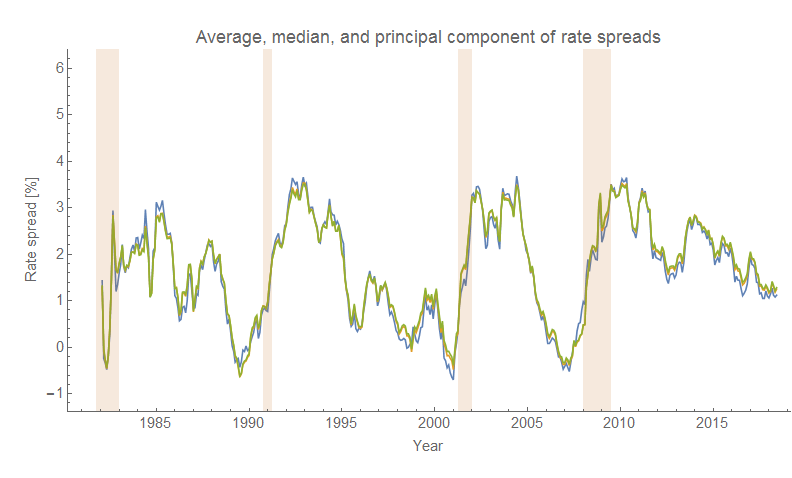 So unless we have other data, we won't be able to predict the timing of this future recession. We do have other indicators, and this extrapolation is consistent with them. 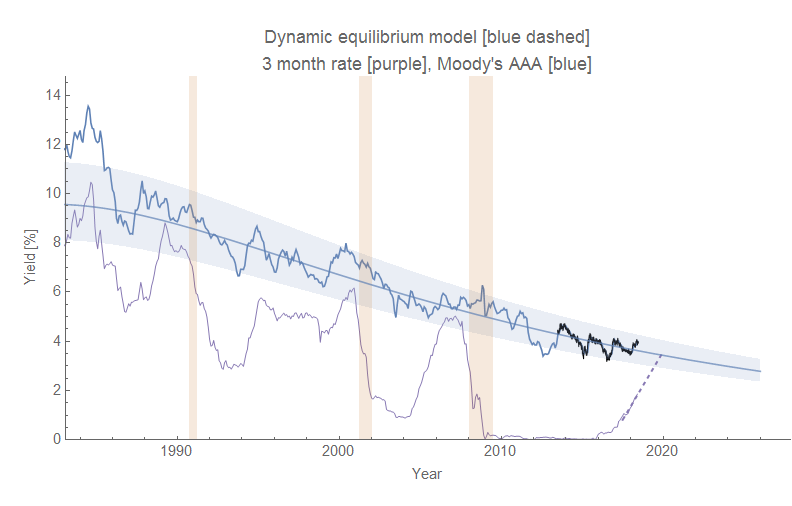 The blue band represents the 90% confidence on the single prediction errors of the linear model (dashed line). 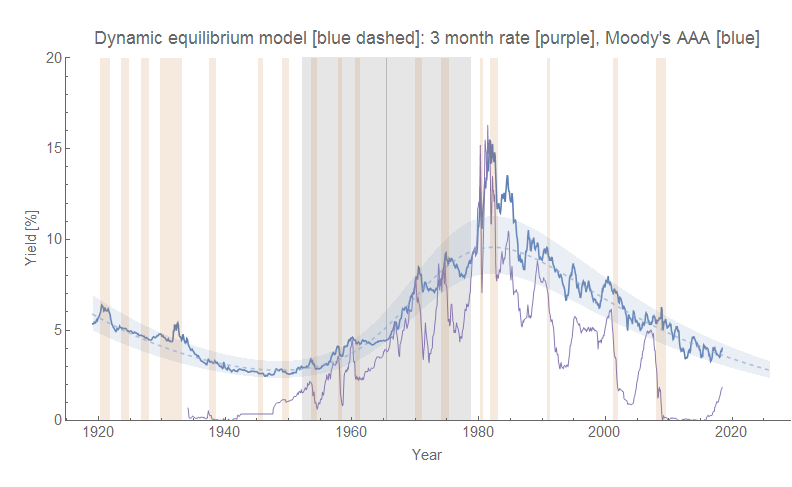 Since the declaration of an NBER recession typically lags the first indications of a recession in unemployment and JOLTS data, we should be seeing the first signs in those data series in the next 6 months to a year. 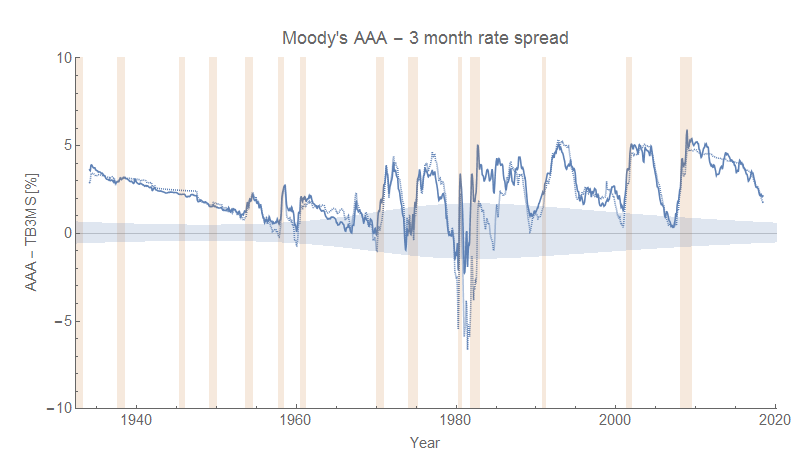 Since we are already seeing some signs in the JOLTS data, these indicators all seem consistent. 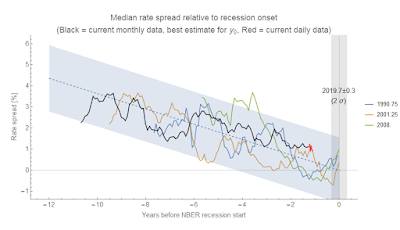 Note that the above analysis in this update is "model agnostic" in the sense that it just relies on the empirical regularity of a trend towards yield curve inversion between recessions, but no specific model of how yield curve inversion works or which way causality goes. 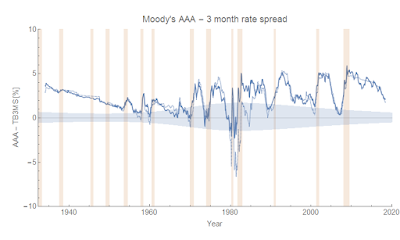 It does imply a certain inevitability of a recession. 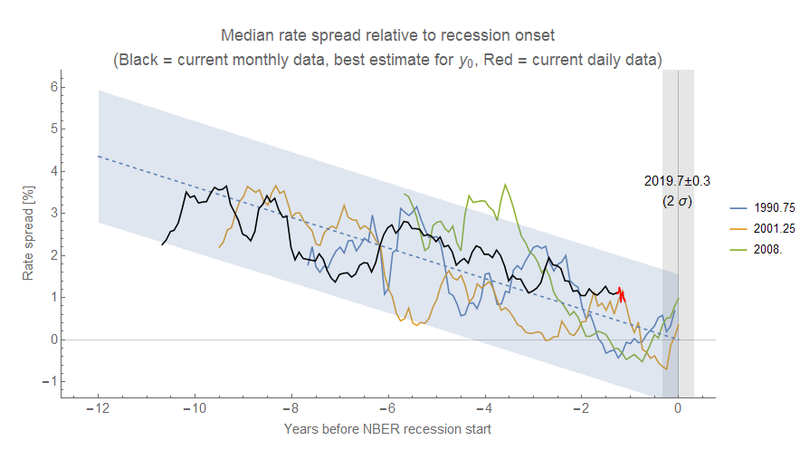 Since the mean spread rose to about 3 percentage points after each recession, and the slope is -0.36 percentage point per year, this implies about 8.3 years between recessions — which is what a Poisson process estimate says based simply on the frequency of recessions (λ ~ 0.126/y, or an inter-arrival time of 7.9 years as mentioned here). Apparently I mislabeled the variables medianData and meanData in my code, switching them up. Anyway, the above result uses the median, not the mean (average). I also added post-forecast daily data in red, which is more rapidly updated than the monthly data time series.